This combo makes me want to craft this head so much. 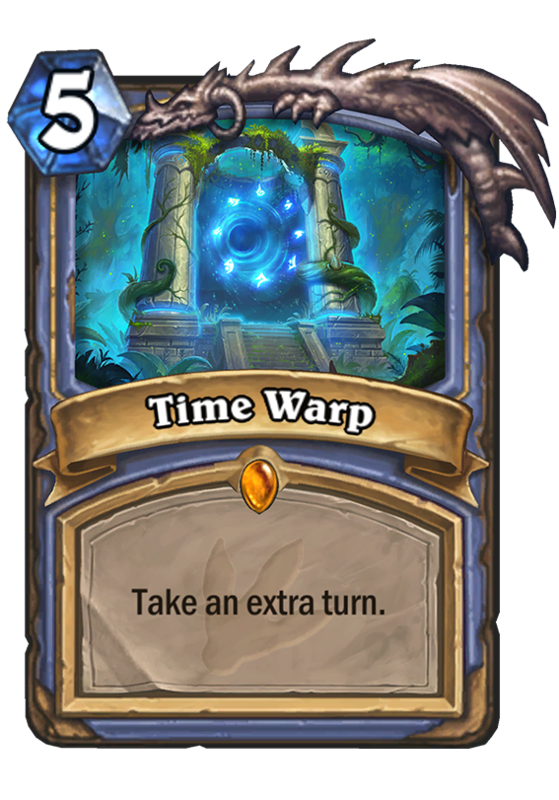 Haven't seen Kripp's video, I didn't even consider his approach to generate Spare Parts that can be used to trigger the quest. If you have more than 3 mechs, does it only destroy 3 or does it destroy every mech you have? And I know right, watching epic moments is very satisfying and fun whether it happens on my end or not. 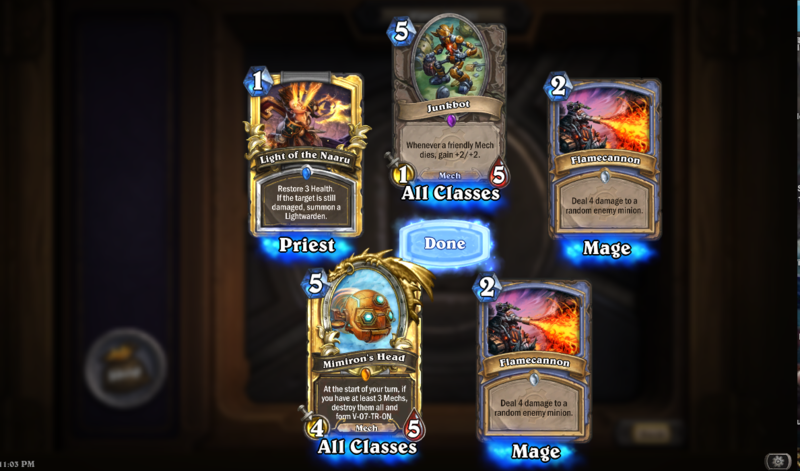 Just managed to do the combo vs a Face Shaman right now with Mech Rogue. He just went face, ignoring my board which had Iron Sensei, Piloted Shredder and Mimiron's Head. I was with 7 health at the end of turn 6. 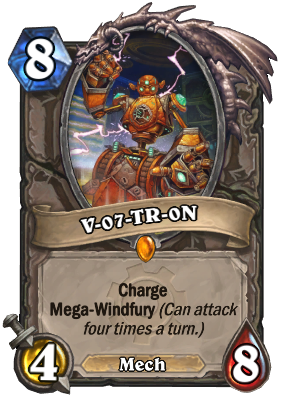 Next turn, [card]V-07-TR-0N[/card] was summoned, then I gave it that spare part that grants +1 attack for a total of 20 damage, and finished with an Eviscerate. He had 22 health and died. I felt so happy for finally getting this to work. 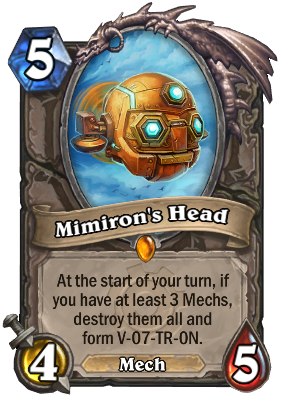 I know It's unlikely that someone will leave Mimiron's head alone as well as two other mech minions, but it was so fun doing this ! I hope someday I can do the combo with Cold Blood for an insane 32 damage.